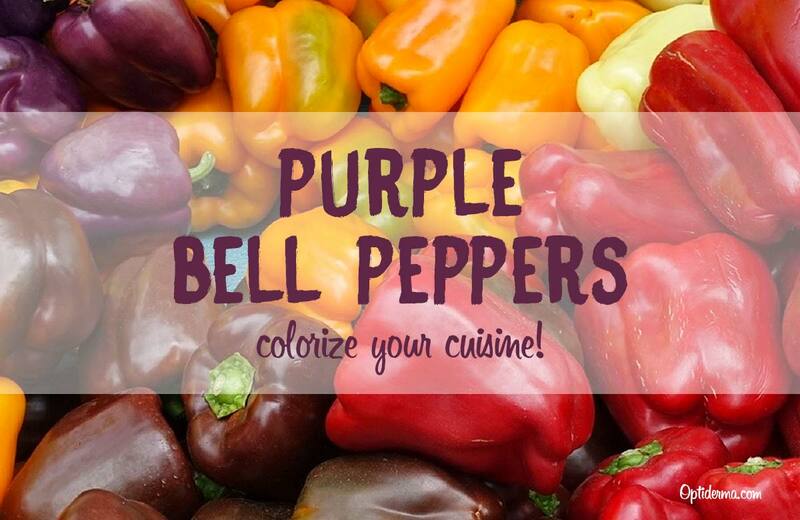 Colorize your Cuisine with Purple Bell Peppers! What happens when you picture bell peppers? Perhaps you recall their bright, punchy flavor and satisfying crunch. What color comes to mind? Most often, grocers sell the green kind. However, did you know that’s just the tip of the rainbow? Envision this – exquisite hues of yellow, orange, chocolate, purple, and pimento red. In this post, I share the merits of purple varieties. Your body and taste buds will love them! Skins display a range of purple shades, such as violet, lavender, indigo, lilac, and plum. Inside, they glow with white or green flesh. Having a milder flavor than green peppers, they taste slightly sweet (source). Bell peppers are members of the nightshade plant family. Unlike other pepper species, bells won’t burn your mouth since they lack the chemical capsaicin. Purple bell peppers offer insurance against free radicals, catalysts of aging, illness, and disease. Free radicals are volatile molecules, launching destructive chemical processes. Your cells consist of molecules with charged particles termed “electrons” orbiting them, in pairs. When two electrons are bound to other, they’re content, with no interest in other molecules or chemical reactions. However, when forces break their link, electrons separate. Now, the unbalanced molecules seek new partners, to restore stability. 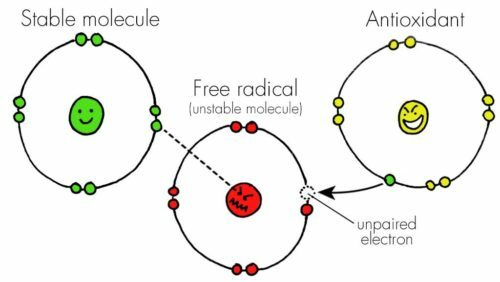 Divorced electrons are called “free radicals” (source). Cells injured by free radicals suffer disruption of their fats, proteins, membranes, and genetic material. Thus impaired, they’re susceptible to invasion by viruses, bacteria, and other pathogens. Warped DNA leads to abnormal cell growth, illness, disease, and expedited aging. 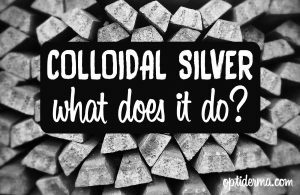 What forces sever electron bonds? 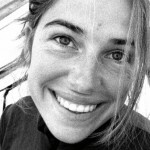 Environmental sources are ultraviolet radiation, tobacco smoke, air pollution, and pesticides. Also at fault are fried and barbecued foods, alcohol, antibiotics, and chemotherapy drugs. Fortunately, restorative molecules exist, called “antioxidants.” Equipped with extra electrons, an antioxidant mends a free radical by donating an electron, replacing its missing mate. By stabilizing free radicals, antioxidants promote vibrant health. Purple bell peppers are steeped in antioxidants, such as Vitamin C and pigments known as “carotenoids.” Here are the nutritional merits of eating purple bells. A 5½-ounce serving meets 130 percent of your daily need for Vitamin C! This antioxidant cuts the risk of cancer of the cervix, pancreas, bladder, and prostate. Lycopene is a red pigment that lowers the likelihood of ovarian tumors. Beta-carotene helps to thwart breast carcinoma (source). 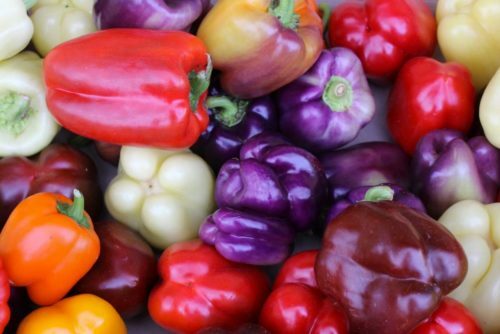 Like all bell peppers, purple varieties aid red blood cells in transporting oxygen through your body. Vitamin K initiates blood clotting. One cup of chopped pepper supplies 3 grams of fiber, sweeping cholesterol from your blood vessel walls. By trimming levels of unhealthy blood fats, purple bells lower your risk of heart attack as well as stroke. Potassium promotes fluid balance, normalizing blood pressure. Phytonutrients impede hardening of cardiac arteries, and Vitamin B6 shields against heart disease. Vitamin C summons white blood cells to combat germs. Vitamin B6 spurs additional immune responses. Purple bell peppers are high in flavonoids, a class of plant pigments. Anthocyanins yield shades of purple, red, and blue. Carotenoids are yellow, red, and orange tints, hidden in the skins. 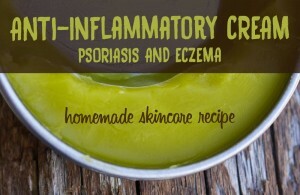 Yellow compounds are quercetin, lutein, zeaxanthin, and rutin. Teaming up with Vitamin C, these flavonoids guard against colds, wheezing, asthma, and lung infections. This is good news if you have kids in school, where germs are freely shared. Rather than chips, pack bell pepper strips in your child’s lunch box with an ice pack. Expectant mothers gain the protection of folate, preventing congenital abnormalities in their babies. Vitamin C builds collagen, the structural protein that comprises your skin. 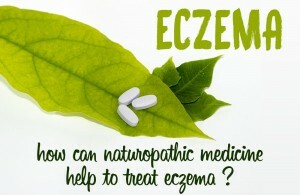 The antioxidants lutein, zeaxanthin, and cryptoxanthin stave off wrinkles, fine lines, and skin cancer. Purple bell peppers fend off cataracts and retinal degeneration, with the help of Vitamin C, lutein, beta-carotene, and zeaxanthin. Vitamin A clarifies night vision and averts eye infections. Look for purple bell peppers at farmers markets and produce stands. Organic types aren’t likely, so you need to wash peppers well. 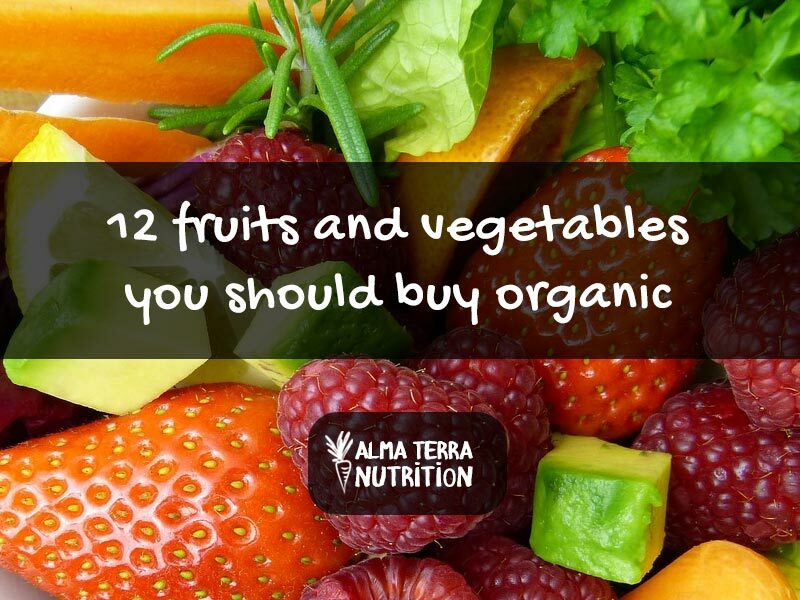 Otherwise, you can buy seeds online, and grow the plants yourself with organic methods. Non-GMO, organic seeds are available here. When shopping, select veggies that are smooth, firm, and shiny, with green stems and intact skin. Bypass peppers that are rough, dull, soft, dry, wrinkled, spotted, cracked, or shriveled. Choose veggies with some heft. At home, keep your gems refrigerated inside a plastic bag, for up to seven days. You can also freeze them, although they’ll lose some crispness. Using a paring knife, halve the pepper, and then excise the stem, inner membranes, and seeds with the knife tip. At the top of the pepper, cut around the stem. Then, pull the stem upward, and scrape out the ribs and seeds. To remove stray seeds, run the pepper under cold water. Then, pat dry with a paper towel or drain well. 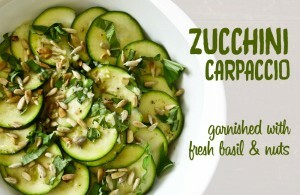 Add sliced rings to green salads. Scoop strips into healthy dips. Used halved peppers as dipping wells. Add chopped pepper to salsa. Juice and blend into smoothies. Baking and grilling destroy the antioxidants, enzymes, and vitamins in peppers. These cooking methods also fade purple bells, turning them green. Steaming is ideal, preserving their zesty flavor, bright color, and much of their firm texture. Since the vegetable doesn’t touch the water, nutrients don’t seep out. First, insert a steaming basket inside a deep saucepan. Pour water into the pot, to below the steamer bottom. If water rises above the holes, the pepper will get mushy while heating. After washing a pepper, slice it into rings, chunks, or halves. Heat the pot on your stove until the water begins boiling. Then, place the cut pepper into the steaming basket. Cap the pot with a lid, and lower heat to a simmer. Steam the vegetable up to five minutes, while retaining its vivid color. Here’s a savory vegetarian recipe – Quinoa and Lentil Stuffed Peppers. Wash and dry peppers. Halve them, leaving the stems intact, and remove the inner ribs and seeds. Then, steam the peppers for up to five minutes. After rinsing the quinoa and lentils, place them in a saucepan. Add vegetable broth, and bring to a boil. Cover the saucepan with its lid, and reduce the heat to a simmer. After cooking for 15 minutes, remove from heat. Allow to sit for five minutes, followed by draining and fluffing with a fork. Let quinoa and lentils stand at room temperature. Dice the onion and carrot, and heat the olive oil in a saucepan. Sauté the vegetables until the onion is translucent. Add the herbs and stir. Then, mix the vegetables with the quinoa and lentils. Spoon into the steamed peppers. This recipe serves 4. 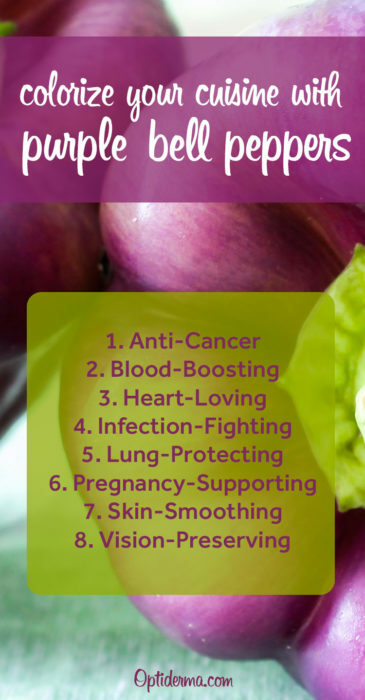 Eating purple bell peppers will help protect you from cancer, heart attack, and stroke. They’ll fend off respiratory infections and vision loss. 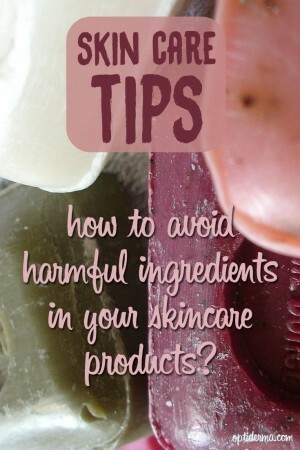 They’ll also add blush to your cheeks and slow skin aging. Ideally, savor them raw, steamed, and stuffed. Dress up your meals with dazzling purple bells! Please share your recipes featuring purple bell peppers in the Comments section below. Thank you!